Horror games should be scary – but this is easier said than done. Sure, there have been some very successful examples such as Resident Evil and Silent Hill, but all too often the genre relies on jump scares to startle unsuspecting players rather than get inside their head. 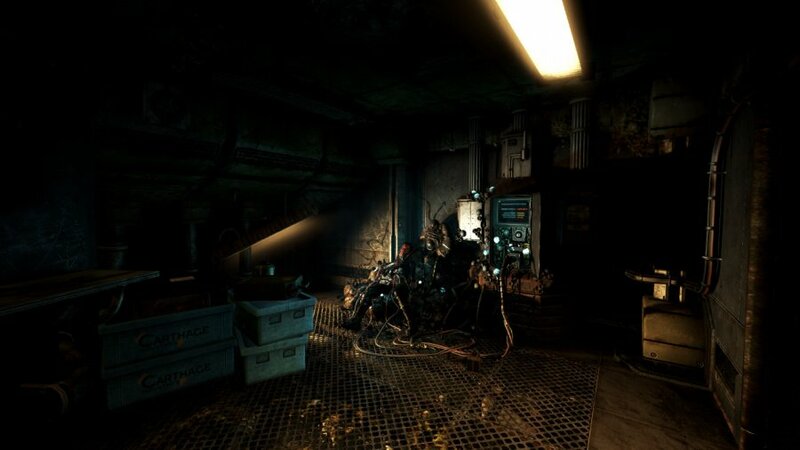 Swedish outfit Frictional Games did much better than that with the critically acclaimed Amnesia: The Dark Descent, and so its latest project SOMA comes with high expectations. But as we mentioned earlier: being scary is easier said than done. You assume the role of Simon Jarrett, whose backstory we'll dance around for the sake of spoilers. All you need to know is that the protagonist finds his way onto Pathos-II, a largely abandoned underwater base in the distant future – after humanity has been wiped from the surface of the Earth. As the star begins to acclimatise to his surroundings, he – along with the help of his companion Katherine Chun – will set out to complete a chain events that may be humanity's last hope for survival. No pressure, then, pal. The game plays out from a first-person perspective, so running and hiding are the major points of gameplay. 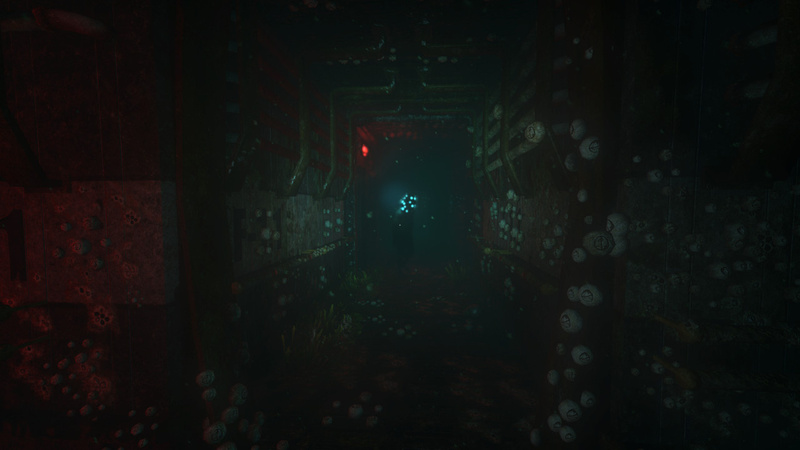 In traditional Frictional Games fashion, manipulating and examining the title's environment also plays a huge role. This results in you being forced to manually complete actions that most other games would gloss over, which understandably increases the tension when you're in a hurry. The premise is pretty much perfect for a survival horror game. 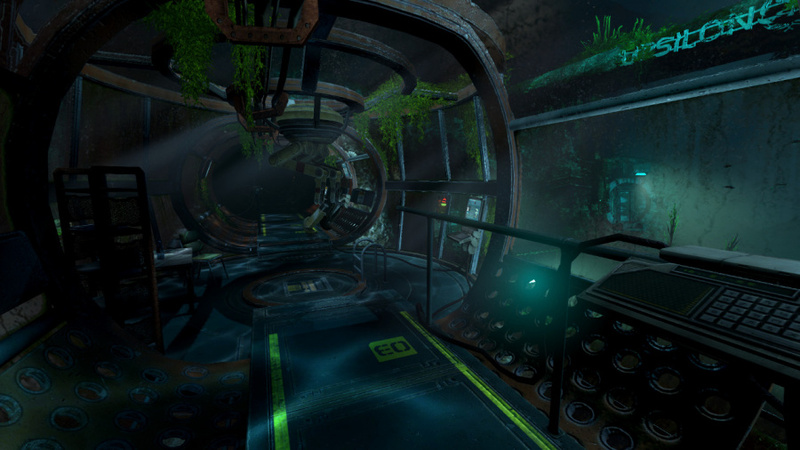 The title's environments represent an amalgamation of Event Horizon, Virus, and The Abyss, and they also take heaps of inspirations from the brilliant Michael Crichton novel Sphere. The cramped, confined spaces of Pathos-II are unnerving, but the open, daunting abyss of the ocean floor is perhaps even scarier. And these areas are explored in equal measure throughout the course of the campaign, as you move your way from outpost to outpost in order to progress through the game. But while these areas are haunting and extremely disconcerting, they are also littered with creeping abominations that threaten to cut your time in Pathos-II rather short. Much like in Amnesia, it's lethal to even look at enemies for too long, as instead of an 'Insanity Meter', they give off fatal doses of electromagnetic bursts. It's a good idea, but the enemies are one of the game's few missteps. They look grotesque, but they don't ever really offer a challenge. For starters, the AI pathing is far too predictable, and this deflates the tension a little – especially after the outstanding Alien: Isolation. They're also all far too easy to avoid: a brisk jog will get you away from them easily, and subsequently there's no real sense of danger or threat. In fact, the game's at its scariest when it's simply teasing you with the unknown. The title does convey a good sense of seclusion in places, and this is when it's at its absolute scariest. An emphasis on mood, rather than stealth and evasion, may have made this a more successfully terrifying game. Of course, that's not to say what's here isn't good – far from it. As mentioned, the grotesque locations make for some eerie surroundings, and they're enhanced by the immersive audio design, which helps to increase the sense of presence. It's simply more harrowing than acutely terrifying, which when you consider the pedigree, is a bit of a letdown. That said, it can't be faulted for ambition, as many of the title's themes deal with the moral complexities of life and consciousness as they relate to AI. The game pulls at many of the same strings as Alex Garland's incredible film Ex Machina, but where that movie approached many of these issues from an analytical point of view, SOMA explores them from a more emotional stance. These topics get increasingly more impactful as you delve further into the base, as the game forces you to look at life in a different light. This is by far the most successful element of the game, as the idea of synthetic morality thrives where the pure horror flounders somewhat. There's an amazing payoff as well, as all of the ideas culminate in a pretty compelling conclusion, which is honestly one of the best that we've seen in a while. Suffice to say, it's powerful. 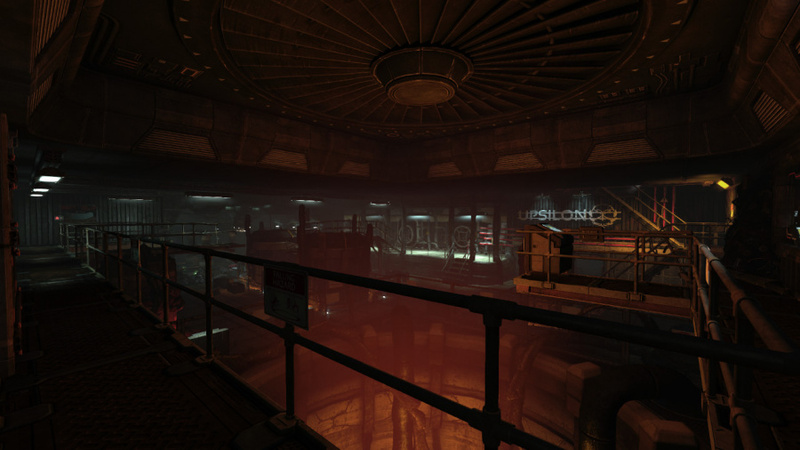 To its credit, the moral issues are represented in the gameplay. Some of the segments – which are essentially fetch quests – revolve around you having to decide whether you want to effectively "kill" robots in order to take the parts from them that you desperately need or explore other avenues. It's not made easy for you either, as the robots will often talk to you while you do this – occasionally begging for their lives. It takes an emotional toll, and solidifies what is the strongest part of the game. But the audio design's up there, too. The score – crafted beautifully by Mikko Tarmia – offers a fascinating blend of synthetic and organic sounds, which obviously mirrors the fiction well. And the effects, which depict the strain that Pathos-II's put under, help. It's a wonderfully presented game. But it's not one without its issues, as we encountered some progress halting bugs along the way. The release has a very robust auto-save system so we never found ourselves losing much progress, but in a title that relies on immersion, they can be upsetting all the same. The problems are not helped by the fact that the game takes an absolute age to load – several minutes in some instances – while it pauses to stream in new data on regular occasions. None of these shortcomings are deal breakers by any stretch of the imagination, but they're worthy of note. 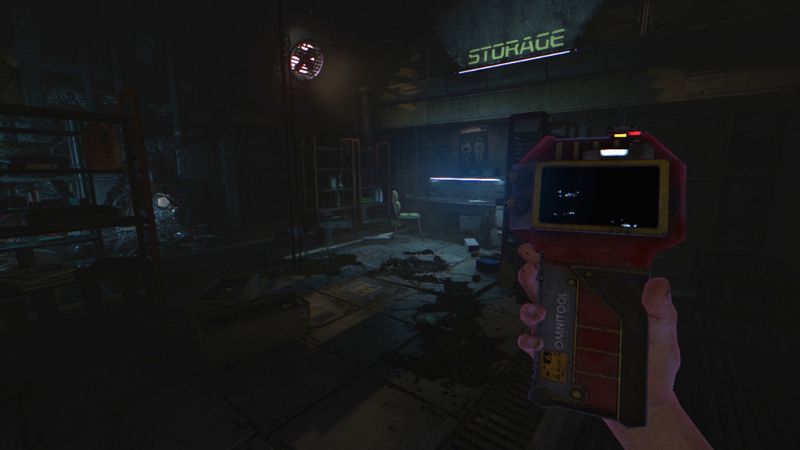 SOMA's an interesting release that succeeds and stumbles in areas that we didn't expect it to. Indeed, given the developer's track record, we'd anticipated a terrifying title – but while it has its eerie moments, it's a bit of a disappointment as a horror game. Where it's more successful is in its ability to depict the moral challenges of AI, and this subject matter results in some of the tougher decisions that we've seen in a game for a while. The plot is compelling, the presentation is generally very good, and the conclusion is outstanding. But all of these achievements will be tempered if you're looking for the kind of scares that defined Amnesia: The Dark Descent. Just got on steam can't wait. Sorry for the delay with screenshots and other fancies guys, just tidying up the review now. @kyleforrester87 Damn, I just fixed that one, too! That was my bad - I added that one in! Yeah, I'm not really sure why they've advertised this as a horror game when it doesn't seem like that's what they're going for at all. That said, the concept does sound very intriguing, and I'm really curious about the ending. I like a good horror game, but I think the more ambitious plot has sold me on this more... I'm kinda glad it's not what I was expecting. I'll wait for a sale, seems interesting enough. This is digital only, right? @fchinaski Yep! For now at least, although there's not really a plan to go physical so far as I know. um Event Horizon and the Abyss are some of my favorite movies. Sold. In terms of all the cultural influences i'm right there, still uncertain about the gameplay, definitely play it at some point. @get2sammyb Would you say this is better/more scary than Outlast or not? I've been looking forward to SOMA ever since E3 2013. Has anyone noticed this issue me and my friends have had with the PS4 HDD? Anytime I download a game or update I have to make room for double the size of the file. For example, if im downloading a file thats around 15gb I have to have around 30gb of free space. This is something that only started happening around a couple of months ago. Im assuming its also including an installer with the file I am downloading but it never did this until recently. It doesn't matter what size the file is, its always double. Borderlands Handsome Jake update around 12gb = 24gb needed. ESO 10gb = 20gb needed. I also installed Shadow of Mordor from the disk 29gb = 60gb of space required. At first I thought it was just me, but I know two of my friends also have the issue. I've tried looking online for information but I can't find anything related. I know the PS3 had a similar issue, but this is recent for the PS4 as I know 100% that it never had it before the last couple of firmware updates. I would be very grateful if someone could explain why this is happening. Edit- I forgot to say that, once the file has downloaded and installed it will revert back to the required space, but before I start the download or even whilst its downloading it requires double the file size. @WARDIE and you find yourself deleting stuff to make room, then once the game is installed, your hdd space could have easily accommodated the game you just downloaded AND the one you deleted before downloading/installing..
@WARDIE I came away more scared by Outlast. Buuuuuut SOMA had a far superior narrative. Both games were awesome for different reasons, but they were indeed both awesome! That's happened to me a couple times, but with smaller games. Like 2 or 3 GB's here and there. All I did was go restore my licenses and it was fine. Buuutt I'm definitely not guaranteeing it'll work. But it's certainly worth trying! When I look at this game I get the bad feeling it'll be as boring as alien isolation. Sounds interesting, might get this in a sale. I'm going to give it a try,was hoping it would be very scary but it seems decent enough anyway..i love games with a good bit of atmos,which it clearly does have. Just saw the price on the UK store, that was scary enough. @gbanas92 seems really interesting, although the asking price is a little steep. Could you comment on the game length / replayability factors? 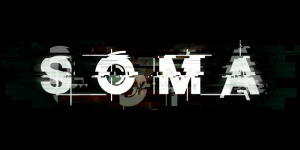 Is soma not in the US store yet ? @SteveButler2210 I took about 8 hours with the game, but that was with my trying to explore every last nook and cranny the game had to offer. As far as replayability, I wouldn't say it's terribly high. The price certainly comes off as steep, but the game is still really good too! @gbanas92 ok that's good to know, I'd heard someone else say 12 hours - perhaps they were playing at half speed! How did you find the general performance outside of loading, did the graphics / frame rate hold up to scrutiny? With the replay value as low as that I'll probably wait for it to go on sale, but I definitely still like the look of what I'm seeing so will make sure to keep my eye out for a price drop! @SteveButler2210 Or maybe they were counting the loading times! Haha. But yeah, outside of loading, i found performance to be solid. The frame rate never really dropped, texture pop wasn't really present. So yeah, it was technically sound, just with really long loading times! I just finished this on PS4. Playing with a home theater sound system connected - audio was great. I felt true horror at times. The game makes one think a whole lot about existence. Great game, but unfortunately it stutters quite badly in some areas and places (mostly when turning the camera) and that takes away immersion. I wish that it ran better, because this would be an instant classic for me if it did. Its funny that the "outstanding Alien: Isolation" has a lower rating than SOMA. I love a good horror game but unfortunately I didn't enjoy this one. As the review said, the stealth/evasion segments were laughably easy. And the rest of the gameplay consisted of puzzles that were extremely tedious. As for the story, it had interesting themes woven into it but apart from key moments it wasn't very compelling. it was a good ´intermission´ from playing Fifa 19 Rivals and Fut Champs. I actually liked the parts where you had to evade the monsters, the sound effects and visual distortions made me stress out at moments, It's good that the whole game is not like outlast but has the story and puzzles in between. The story raises an interesting question and I felt like it ended too fast.